Flowers are incredibly important to our culture – we offer them as a sign of love, friendship, and sympathy. Each state even has its own flower. There are dozens of flower festivals across the country where we celebrate the beauty and importance of flowers. Here are just a few. The Portland Rose festival has been around since 1907 and has grown to be one of the biggest events in Portland each year. During the festival, they celebrate the rose’s beauty with the Grand Floral Parade – which is the second largest all-floral parade in the US. If you visit, you’ll see the Golden Rose Ski Classic ski race, fireworks, carnival rides, and even dragon boat races. 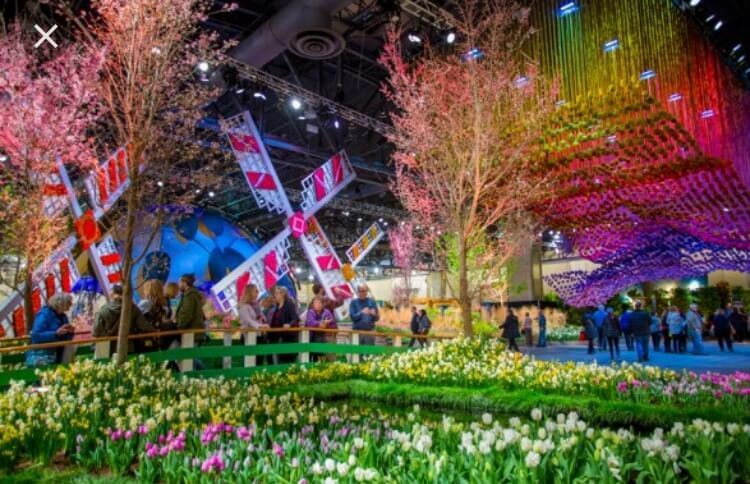 The Philadelphia Flower show is the largest indoor flower show in the world, with 250,000 attending each year. Each year has a different theme, and participants create extravagant floral and garden designs which are then submitted for judging. These beautiful displays are a perfect way to celebrate and appreciate nature. The National Cherry Blossom Festival is held to commemorate the gift of Japanese cherry trees from Yukio Ozaki of Tokyo City to Washington, D.C. in 1912. First Lady Helen Taft and Viscountess Chinda (one of the Japanese ambassador’s wife) planted the tree together, and it still stands today. The Cherry Blossom Festival a daily sushi and sake celebration, kimono fashion shows, and more. They even hold classes to learn more about cherry blossoms. The three week long festival ends with a large parade. Love tulips? 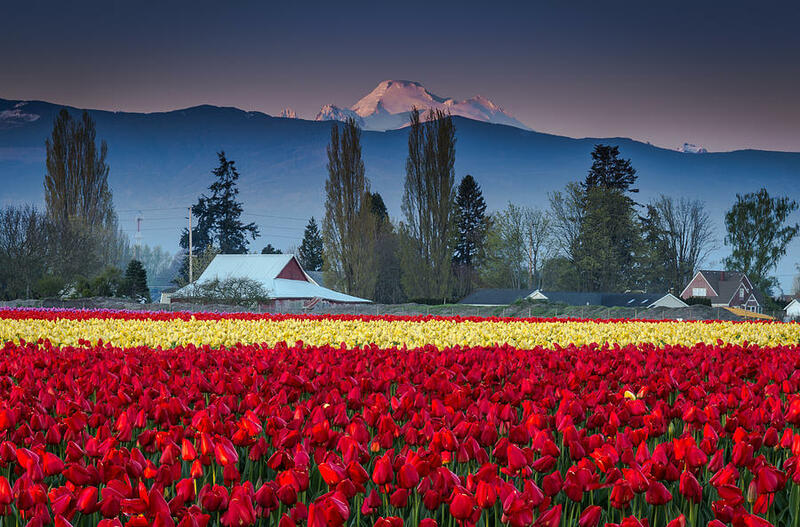 Head over to Skagit Valley, Washington, for their tulip festival. Tulips have been growing in the Puget Sound area since the 1900s, with fields still growing today. There are a number of art shows, concerts, markets, and other activities during the Skagit Valley Tulip Fest, which runs through the entire month of April. The miles of tulips are best viewed on a driving tour or on a trolley ride. The North Carolina Azalea Festival is one of the largest flower festivals in the state. It is held in Wilmington, and attracts over 300,000 people during the three day festival. You can walk through the beautiful Airlie Gardens, which features not only flowers but a butterfly garden, mystery grave, and sculpture garden as well. The Cape Fear Garden Club Azalea Belles dress in antebellum outfits and act as hostesses and guides for the gardens. There is also a festival queen who is crowned the first day of the festival. Love Disney? Then the Epcot International Flower Festival is for you. You’ll see a variety of flowers, gardens, and topiaries, all themed around Disney characters. This festival is held at Walt Disney World Resort in Florida and takes place from March until June, making it one of the longest flower festivals. There are several different flower and garden tours offered, including the Royal Tea Garden Tour and the Gardens of the World tour. You can visit a wide variety of exhibits, including the Bonsai collection, Bold Bromeliads, Festival Blooms, or Floating Mini-Gardens. 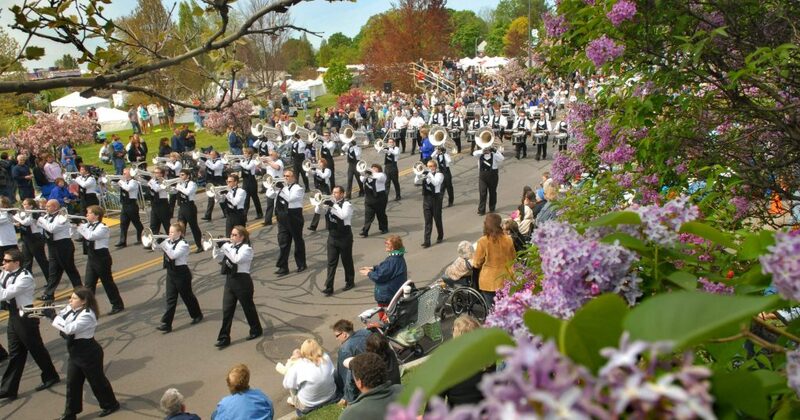 The Rochester Lilac Festival in Highland Park boasts over 1800 lilac bushes and more than 500 different varieties. The festival kicks off with a parade, and offers a number of different music and art events. There’s more than just lilacs, too – Highland Park has a pansy bed, a rhododendron/azalea garden, a tulip garden, and an arboretum. The festival ends with the Lilac 10k road race and a 5k family fun run. Poppies are California’s state flower, so it’s not surprising that they have a festival dedicated to the flower. Walk through parts – or all – of the eight miles of trails at the Anelope Valley California Poppy Reserve to view these gorgeous wildflowers. This state-protected reserve is kept all natural, meaning that California State Parks doesn’t water these poppies. It is also not allowed to take any poppies from the reserve. There are tons of activities at the California Poppy Festival. You can expect anything from petting zoos to motocross shows during this event.